You will discover nestled in the San Bernardino National Forest an unusual type of animal habitat. There are fierce predators like snow leopards, snowy owls, and grizzly bears along with meeker species like fallow deer and ringtail cats. The strange assortment of animals here may clue you in to the fact that this habitat is a zoo, but if you look closer, you might notice something else: the snow leopards are partially blind, and the snowy owl is missing a wing. That is because Big Bear Alpine Zoo is more than just a zoo. 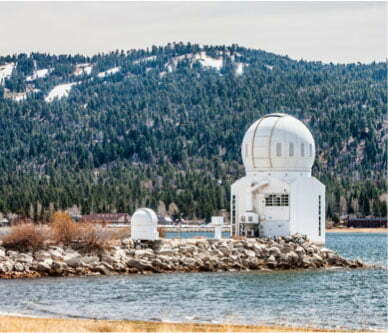 If you’re planning to visit Big Bear Lake, you won’t want to miss out on any of the unique attractions tucked away in the area. Download our complimentary Vacation Guide for instant access to top recommendations for everything you’ll find in the area. In addition to gems like the Big Bear Alpine Zoo, there are suggestions for things like the tastiest restaurants and best ways to spend some time outdoors. The cool thing about this zoo is its underlying purpose—it is a rehabilitation facility that provides a place for injured, orphaned, or imprinted animals to heal. Big Bear Alpine Zoo offers a permanent or temporary home depending on the animal’s needs, but 90% of animals brought here are eventually capable of returning to their native environments. 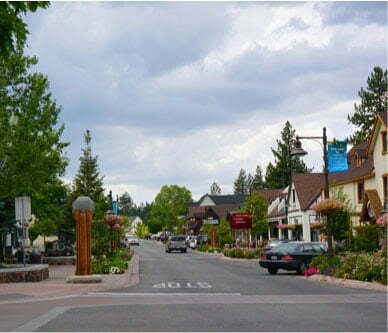 It is presently building a new zoo in a location within the city of Big Bear Lake. This habitat was first known as the “Wildlife Habitat,” then as “Moonridge Animal Park,” until 2012 when the name changed to the current one. The zoo first opened in 1959 when a wildfire raged through the forest and injured many of its animal inhabitants. It didn’t begin with the intentions of becoming a zoo, but as some animals were not able to return to life in the wild, the facility decided that it would create a home for them. There is a variety of wildlife here at the zoo for a variety of reasons. Some have sustained injuries from cars and illegal hunting. Others have birth defects or were orphaned at a young age. Still others were once illegal pets. Big Bear Alpine Zoo provides a home for artic, grey, red, and San Joaquin kit foxes, snowy, barn, and burrowing owls, golden and bald eagles, black and grizzly bears, gray wolves, and even two snow leopards. These animals all have wondrous abilities in their own right; for example, the San Joaquin kit fox can survive without any drinking water, as it gets the water it needs from its prey. There are even more animals here, and due to the nature of the zoo, the kinds of animals you’ll find may vary. This makes for a remarkable, unique experience unlike the kind you might have at a more typical zoo. 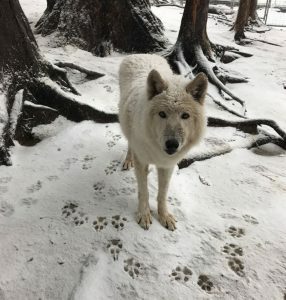 If you’re trying to decide what time to go, Big Bear Alpine Zoo’s hours during the summer are daily from 10 a.m. to 5 p.m. and from 10 a.m. to 4 p.m. during the winter. You can schedule a guided tour with a large group, or wander around on your own. If you’re here during October, be sure to go on Big Bear Alpine Zoo’s Flashlight Safari where you can learn about the nocturnal instincts of many of the animals here. You won’t want to miss this opportunity to support an organization so dedicated to helping animals. Your vacation will find the perfect balance between a retreat into nature and modern comfort in a cabin from Big Bear Lakefront Cabins. Our properties are in great locations as they are close to many attractions like Big Bear Lake, Big Bear Alpine Zoo, and many others! 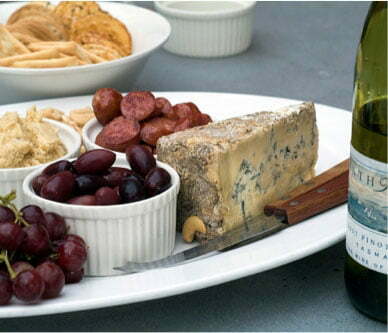 If you want to make the most out of your vacation in Big Bear, book the Evergreen Ski Chalet. This spacious yet cozy cabin has a fireplace and a roomy kitchen and living room for when you want to relax in indoor comfort. If you’d like to enjoy nature without venturing out, soak in the large hot tub on the deck while taking in the views of surrounding green forest and deep blue sky. 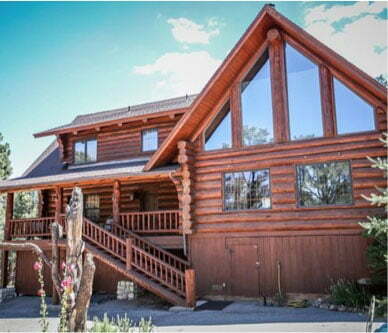 We have many other gorgeous cabin rentals available. 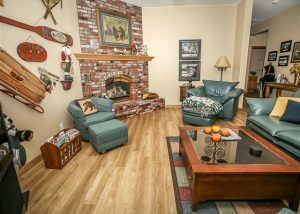 Browse our properties and book your vacation to Big Bear Lake today!